ATLANTA, June 5, 2017— Aubri Lane&apos;s has been awarded the 2017/2018 “100 Plates Locals Love” distinction by Georgia Department of Economic Development’s Tourism Division (GDEcD) for their Sesame Seared Ahi Tuna. Georgia Tourism’s third annual list of “100 Plates Locals Love” is featured in the state’s culinary guide, Georgia Eats. The Georgia Department of Economic Development’s Tourism Division highlights the state’s culinary greatness in the official guide Georgia Eats. The Tourism Division creates this informative and inspiring guide to entice visitors to sample the state’s world-class cuisine. Georgia Tourism created “100 Plates Locals Love” as a way to provide visitors with locally sourced suggestions, the same way we would recommend restaurants to our family and friends. As a part of the “100 Plates Locals Love” designation, each restaurant is featured in the Georgia Eats culinary guide, which is distributed via the 12 Visitor Information Centers statewide; on the state’s consumer tourism website ExploreGeorgia.org; and on Explore Georgia’s social media channels. The Sesame Seared Ahi Tuna, was nominated by Dawn B, "Fresh seared tuna over a pickled cabbage mix – these are so good I could make a meal out of them." 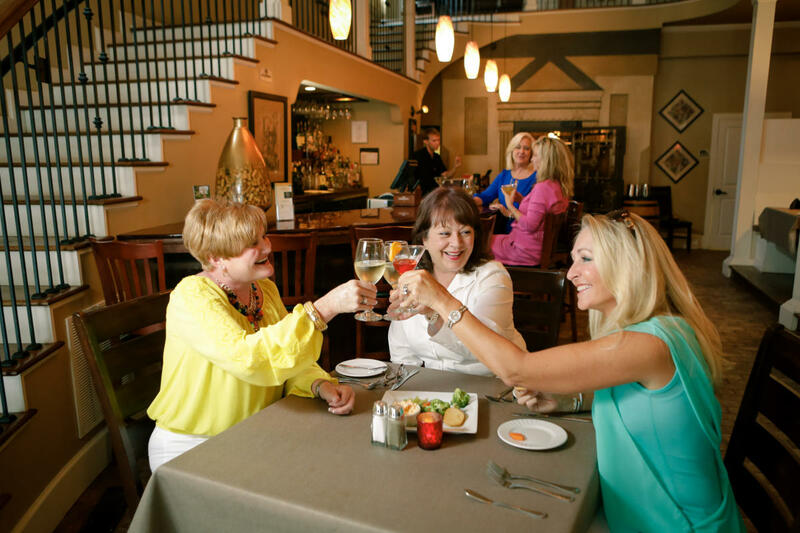 Aubri Lane&apos;s offers a taste of southern elegance in a relaxed atmosphere. Visitors will receive an uptown feel in a downtown area with a menu based on local items and organic when they can be obtained. Situated in a building that was the Milledgeville Banking Company in 1884, the revamp to the interior of the building has included the addition of a staircase and iron railings that look like they were meant to be there all along, but the original vault door and ceilings of the bank have been kept intact as a tribute to the building’s historical value. Aubri Lane&apos;s is open Monday - Saturday from 5pm to 10pm and also for special events or catering. As part of the state’s culinary initiative, the third annual Georgia Restaurant Week will take place July 17-23, 2017, at participating restaurants throughout Georgia. During this week-long event, patrons will be able to explore the numerous dining options throughout Georgia for a special price and sample locally grown products that are available in Georgia’s restaurants. This year, more than 750 “plates” were nominated via ExploreGeorgia.org and evaluated by a panel of judges. The third annual list of “100 Plates Locals Love” features favorite dishes from across the state.